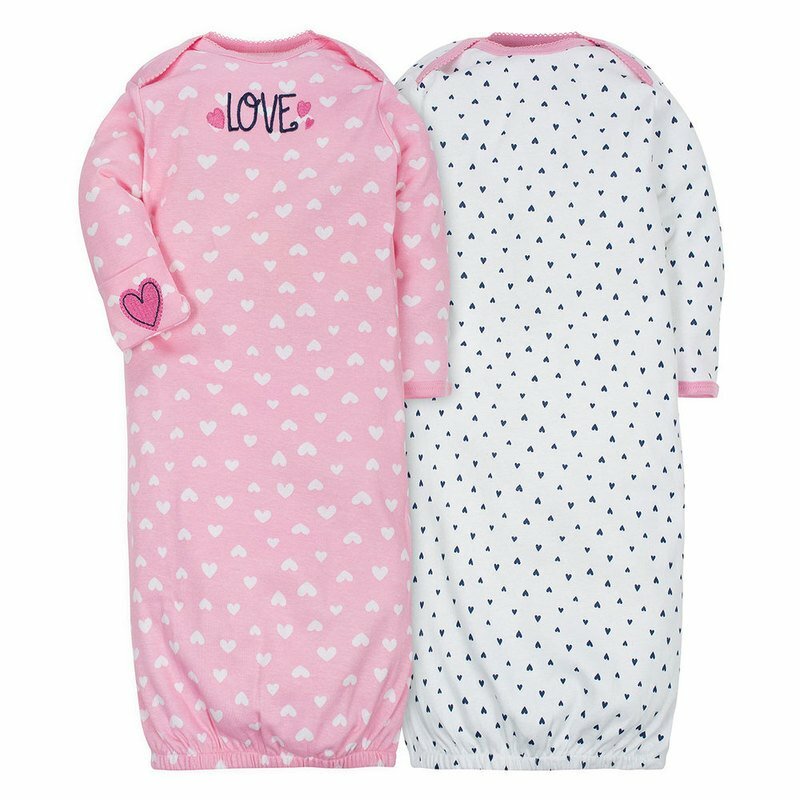 Give your little one a sweet night's sleep with this 2-pack of gowns. They're cute as can be with embroidery accents and pretty picot trim lining. They not only look adorable, they're comfy to wear, too! Each gown is made from 100% cotton rib for a cozy but breathable feel. Mom will appreciate how easy the open bottom design makes those middle of the night diaper changes. An expandable lap shoulder neckline allows for quick and simple bedtime dressing. Tuck baby's little hands safely into the attached mitten cuffs to protect their face from tiny fingernail scratches as baby sleeps. Machine wash and dry fabric keeps laundry day moving along smoothly! This set is ideal for gift-giving.